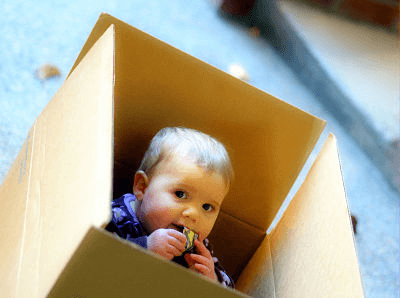 According to experts, it is best to tell children that they are going to be moving home as soon as possible.Â Many parents are under the impression that they shouldn’t tell their children until the last minute so they don’t have as long to worry however children need time to get used to the idea of moving and will appreciate you telling them ASAP. When telling them you must highlight all of the positive aspects of the move for them, these things could include; new friends, new school, a garden, a local park etc. Before your move takes places you need to ensure that you are positive about it, especially when you are around your children. If you are anxious and stressed you children will pick up on this. Involve your children as much as possible too, ensuring that you answer any questions that they have and providing them with as much information as you can so that they know what to expect. You should take your children to the new house before you move and let them choose their own bedrooms and have input regarding how they are going to be decorated. Not only this but you should plan at least one day trip to the new neighbourhood so that they can explore local attractions and become more familiar with the surroundings. You should let your children help packing their belongings, deciding what they want to take with them and what they’ve outgrown and are willing to give to others less fortunate. You should also let them pack their own ‘essentials’ box containing the things in which they are likely to need on their first night in the new home. Make sure you check this box to ensure it contains things they need and not just an abundance of toys and sweets. Saying goodbye can also be tough for children, so why not let them throw a little goodbye party? 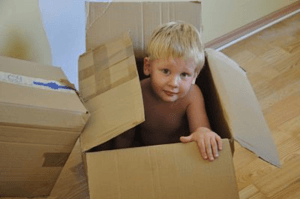 Moving day can not only be stressful but also tedious and rather boring for children, therefore if possible you should arrange for them to go to their friends or family members for the day. If this is not possible and they have to come with you, you should set them little tasks to do so that they feel helpful and not in the way. Plan your first night in the new home around them, letting them have their favourite tam and ice cream and letting them choose a movie to watch or game to play. We hope that these tips are helpful and that they allow for you and your children to move in a non-stressful or upsetting way.